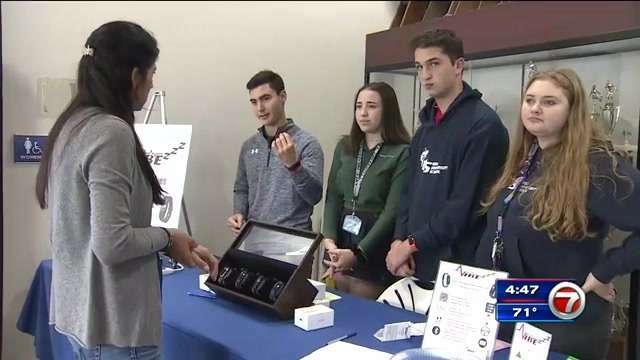 A group of 30 NSU University School students put in months of hard work to invent a smartwatch that detects changes in heart rate. They believe the watch will prevent users from either overexerting themselves by correctly measuring when someone is above their maximum heart heart, or preventing them from possibly getting in a car crash if they go below their normal heart rate while driving. The students came up with the idea as part of their involvement in Junior Achievement, a business oriented nonprofit that allows students to learn about entrepreneurship. Junior Achievement is also using the smartwatch as a way to give back to the community by donating ten percent of the proceeds from sales to charity.